Photograph and learn alongside one of the world’s leading wildlife photographers—join Daniel and Tanya in the most pristine, private game reserves in all of Africa! Our past South Africa trips have been a huge success—so many leopards and lion pride sightings that we lost count! The lodges we’ll be staying at are some of the best in the world for the big cats—you will be spoiled! This tour is spectacular, the trip of a lifetime. After breakfast, depart from Johannesburg and take a private charter flight (55 minutes) to Londolozi Game Reserve. Here we’ll be escorted by rangers to the Londolozi Varty Camp where we’ll stay for five nights. Luggage will go by road, meaning no weight restrictions for domestic travel. Daily, we’ll head out early on safari for the best light. Dan will rotate between safari vehicles to help each guest with camera questions and settings. Midday, when the light is harsh, we’ll have time for downloading memory cards, workshops, or to relax near the pool. There will be a second game drive beginning in the late afternoon until dusk. Some nights we’ll stay out late for a “spotlight night safari,” another way to view the wilds of Africa. Evening drinks and gourmet dinners. Londolozi is famous for its abundant leopard population but also boasts home to high concentrations of white rhino and lion. Herds of elephant and buffalo and also zebra, hyena, cheetah, giraffe, and a vast variety of antelope may be seen. Since it is privately owned, Londolozi is not bound by the strict rules of Kruger National Park. We can drive off-road into the heart of the bush and take guided walking safaris with their excellent team of rangers and trackers. We can stay out for evening sunsets until after dark, unlike Kenya reserves. Londolozi has two of the seventeen master trackers in South Africa. With over 42,000 acres to explore, no two game drives will be the same! Londolozi has camera lenses available to rent (must be arranged prior to tour) and grants guests access to their photographer’s multimedia center. A final game drive from Londolozi, breakfast, and then we’ll transfer by road (approximately 45 minutes) to MalaMala Game Reserve. Overnight Rattray’s Camp for five nights. No other destination can compete with MalaMala’s Lowveld’s pristine wilderness location. Since human impact is kept to a minimum and only MalaMala guests are allowed access to this privately-owned 33,000 acres, we can enjoy longer periods of wildlife sightings and increased photographic opportunities. Game drives daily conducted by qualified rangers along with spotlight game drives at night. MalaMala is South Africa’s first and largest private ‘BIG 5’ reserve (lion, leopard, elephant, buffalo and rhinoceros). Wild dog, cheetah, and many other mammals and birds provide for some of the finest game viewing/photographing on the African sub-continent. Many international wildlife documentaries have been filmed on this reserve. Fly to Johannesburg late morning by private charter plane; luggage will arrive by road. Fly home this evening. If you have time, please read Tanya’s “My First South African Experience” letter about her visit to South Africa in fall 2013. Londolozi is the Zulu word for protect and means “protector of all living things.” This private reserve is situated on the Sand River in the heart of Sabi Sands Game Reserve and world-renowned as one of Africa’s premier game lodges. This rich, wild wonderland has some of the highest recorded concentrations of white rhino and lion in Africa and is also famous for its viewings of leopards. Londolozi is truly one of life’s treasured experiences. Each African-style chalet in the Founders Camp comes with en suite bathroom and private plunge pool. Rattray’s offers a glimpse of an era long past, when distant travellers to Africa married the magic of the wild with an elegance and refinement that have been immortalized in Karen Blixen’s epic tale, ‘Out of Africa’. The epitome of regal colonial safari-style, the newest addition to the MalaMala portfolio is a culmination of over 40 years of experience within the Rattray Family. This private camp has only eight suites each with grand river views, private decks with heated plunge pools, his and her bathrooms with claw foot bath tubs, satellite TV and WiFi. There are wonderful opportunities to watch the elephants and wildlife crossing the river in front of your room daily. Rattray’s bears the style of crystal and leather, with beautiful furnishings that are a treat to the connoisseur of the finer things in life, captured over generations on a land that remains as old as time. Each suite or khaya (the Zulu for “home”) functions as an inclusive home, resplendent with hand-selected furnishings, lavish his-and-hers bathrooms, a secluded outdoor shower and a private heated plunge pool. As we tell many of our guests, if you want to experience Africa, do it now! The price is only increasing (rates are climbing 5-20% per year). There will never be more animals than there are now, and things are always changing—safety, politics, poverty, climate change—now is the time to go! While touring, we allow only 3-4 guests per safari vehicle. If you go with a larger company that offers lower rates, you could get stuck with up to NINE guests in a safari vehicle (we have seen this often in the field). It seems 12-16 guests on a tour offers a variety of personalities to enjoy during the trip. If a group is too small, you could get stuck with someone you don’t want to be on safari with, share meals with, etc., every day—it does happen! Photography is the main focus of our tours, but we also feel the need to have a friendly and fun group atmosphere. We think highly of our guests and feel fortunate to know most of the good people who travel with us. The lodges on this trip are the best of the private game reserves. You could go to Kruger National Park, but since this park is open to everyone, there is the possibility of having dozens of vehicles around a leopard or lion kill. The private reserves do have some rules with how many vehicles can sit around a cat, however, we have never had any issues. There is a limit to the number of vehicles on each reserve where game viewing is the best. Londolozi and MalaMala started monitoring the leopards in their areas about 25 years ago. The population has increased generation by generation. You will not be disappointed! Often we’ll do an evening game drive back to the lodge with spot lights—what an experience to see the big cats at dusk! We do not have this opportunity in Kenya due to park regulations. South Africa is very different than Kenya when it comes to vehicles and reserves. 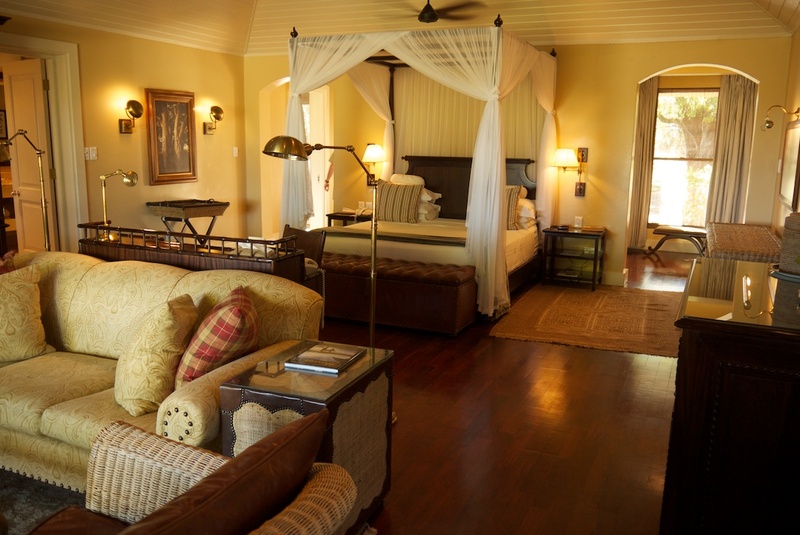 The safari vehicles are limited at each lodge, and the lodges are smaller and more exclusive than most lodges in Kenya. The vehicles are “tiered” with three rows of seating, two people per row equals six to eight passengers per vehicle. We have leased extra vehicles for our group with a goal to have 3-4 guests per vehicle at each lodge. The benefits in these smaller private reserves include no off-road restrictions or restricted distance from the animals. Game viewing is also limited to guests staying at their lodges only. Vehicle seating cannot be determined until we know how many people are booked on the trip. This has always been an issue in South Africa and is unavoidable at these private reserves. Please know that we will do everything in our power to accommodate each guest with as much space as possible for the duration of the trip. WHEN IS THE BEST TIME TO PHOTOGRAPH THE BIG CATS? Any time is good in South Africa! They have their young year-round. We’ll be visiting during the dry season before the November rains, so often we’ll encounter cats at the watering holes which will give us an extra advantage to photograph them. All of the reserves are private, so we’ll have the freedom to explore areas on and off road. MalaMala has recorded daily sightings for over 18 years. US, CANADA, and UK citizens DO NOT need tourist visas if staying for less than 90 days in South Africa. Please make sure to have multiple empty pages in your passport before traveling to South Africa —it is required! For all other nationalities visa requirements, please visit the South Africa Home Affairs Visa Information website. Despite traveling during the dry season, Malaria prevention is suggested. For international flights there are usually no problems with luggage allowance; you just pay extra if needed. We highly recommend camera gear is carried onto the plane with you, so make sure to bring a bag that is within carry-on size allowance. It will most likely weigh more than allowed, so if possible keep your carry-on away from the ticketing area when checking in to avoid having them weigh it or give you any hassles. All personal luggage needs to be in “duffel-like” bags whether it is with or without roller capabilities. Make sure all of your bags have name tags on them please! Domestically, we’ll be flying on small commuter planes which will have luggage allowances (20kg per guest), so our plan is to have the bigger luggage travel by road. This way we won’t have to deal with these weight restrictions. We’ll take our camera bag on the flight and larger luggage will travel by road. Upon arrival and departure into South Africa, it is suggested to use TSA locks or plastic wrap for your luggage. Keep all prescriptions, camera chargers, and valuables in your carry-on. Closer to the tour departure, Daniel will give each guest a call to say hello and see if you would like any guidance on what camera gear to bring. We’ll also include a list of camera gear Daniel will be bringing in the itinerary that we’ll send out pre-trip. Some of the lodges do rent lenses. Please inquire with us if you would like to reserve a lens at a lodge and we can send you the pricing list. There will be plenty of room on the safari vehicles for your camera bags. All tipping can be put on credit card for guides, trackers, and lodge staff if you prefer. We will provide you with tipping suggestions for each lodge. Internet is available at all of the lodges free of charge and is reliable most of the time. "Jim and I want to thank you both for one of the best trips we have ever had to Africa. Everything was really wonderful - the camps, the whole schedule, the group (loved meeting all of the folks on the trip) and of course, the animals were Over The Top (especially the sloth bear, joke) . Thanks again to both of you for all of your hard work to make the trip an incredible journey." "I loved my Bhutan trip two years ago, but South Africa exceeded the Bhutan trip by orders of magnitude. It was worth waiting 55 years for!!! The leopard in the tree over my head gave me that wilderness experience I'll never forget. It was amazing to just be a part of. Thanks again for an incredible trip!!! A trip of a lifetime that I will never forget; a 55 old dream that finally came true...."
"Anyone who joins you on the Mala Mala - Londolozi photo safari is in for a treat. What an incredible itinerary. Doug and I spent our first safari at Mala Mala and saw our first leopard there. And Christmas in Londolozi. Wow! Tom Emri and the Varty couple Shan and Dave were wonderful. We both came home with loads of very special photos and memories. We only wish we could join you on your tour. Bummer! I know you and your fellow photographers will not be disappointed."